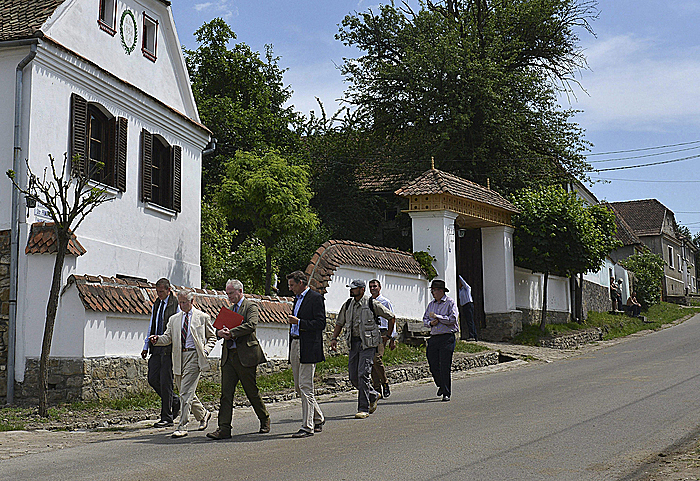 Britain's Prince Charles has returned to Romania where he has a charity that promotes skills and training in rural Transylvania. Charles, who has long been enamored of Romania's rural traditions, arrived in Bucharest on Monday and met with President Klaus Iohannis and Prime Minister Dacian Ciolos. He discussed topics he is passionate about with them, including Romania's cultural heritage, durable rural development and traditional architecture. Charles will then travel to Transylvania where he has owns two properties, which he visits regularly. On Wednesday, he will celebrate the first year of the Prince of Wales Foundation Romania, which supports the East European nation's heritage and rural life, and sustainable development.